Blue AB created a Challenge aimed at promoting human ingenuity to tackle urban water threats. 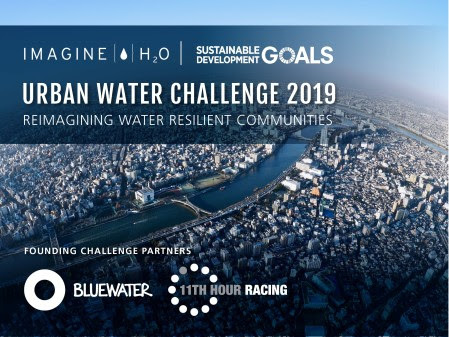 The Founding Partners of the Challenge, Bluewater and 11th Hour Racing, collectively committed up to $1,000,000 in pilot award funding and investment opportunities to jumpstart and scale creative water solutions. “The world faces mounting severe water stress due to global warming as well as increasing threats of contamination to urban water supplies and ecosystems,” said Anders Jacobson, co-founder and CEO of Blue, the Stockholm-based sustainability impact-driven financial institution owning Bluewater. Similarly, Mr. Jacobson said Blue is supporting the Challenge. It’s because it believes human ingenuity will play a vital role in unleashing new technologies and business models. Ones that help us address the issues and get the world back on track. All to meet the Sustainable Development Goals. So the 2019 Challenge unlocks deployment awards to test and validate novel, planet-friendly water technology solutions. All in major cities to inspire their wider adoption globally. This year, the 2019 Challenge will also feature a discovery track for promising ideas in breakthrough technology categories. The 2019 Challenge will name technology startups across three primary themes: Drinking Water; Water Reuse and Recycling; Ecosystem Health. Each theme defined by specific problem statements to ensure that the solutions sourced through the Challenge meet the real needs of customers in diverse markets. As well, the winners showcased at an award ceremony and series of events during World Water Week in Stockholm, Sweden, August 25-29. In addition, the 2018 inaugural Challenge received 160 applications across 54 countries. Three winners received pilot funding awards to check lead contamination in the US, remove arsenic in Bangladesh and digitize water infrastructure in India.